Have you ever seen such chunkiness? 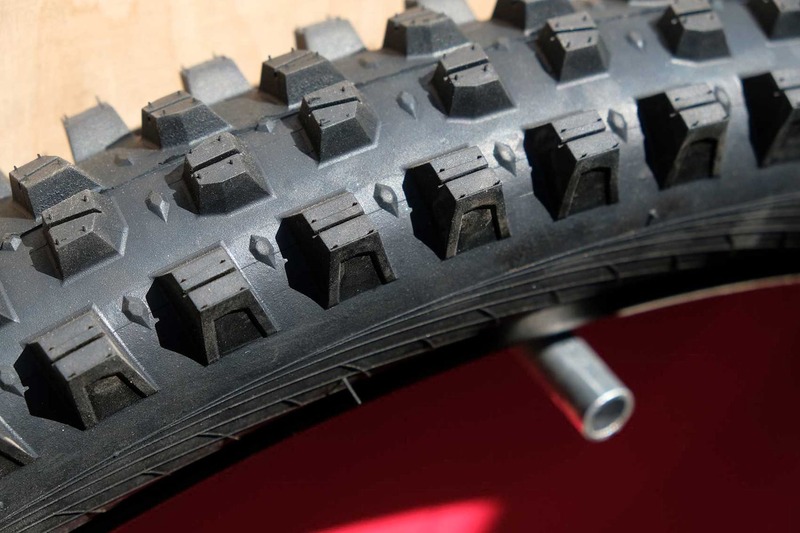 Could these be your next winter tyres? 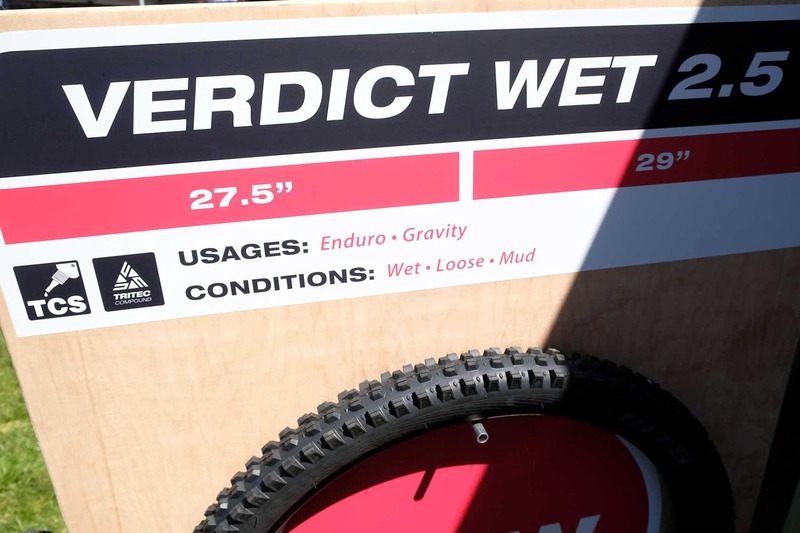 They’re certainly among the toothiest tyres we’ve seen so far and WTB reckons that the new WTB Verdict and Verdict Wet tyres are going to be the hot tyre to have for everything from wet Welsh roots to deep Californian dust. 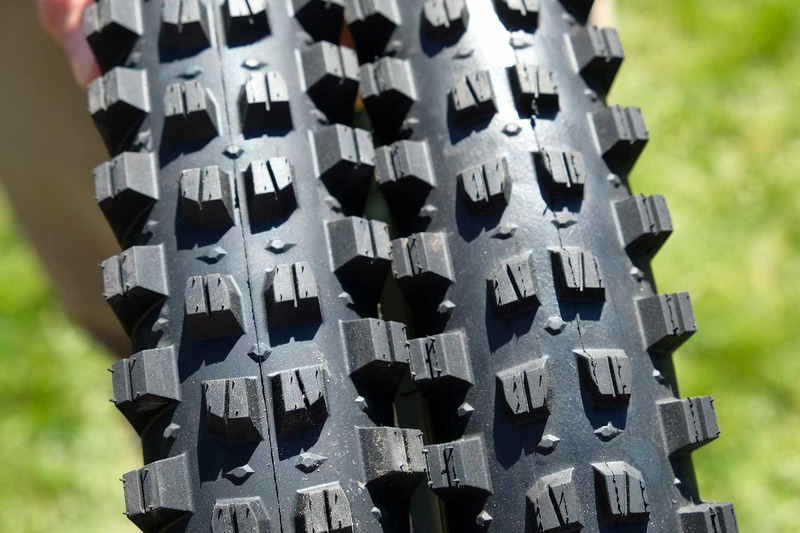 The new WTB Verdict and WTB Verdict Wet look very similar, with effectively the same tread pattern, but with different height knobs. There’s only about 1.5mm difference in height, but in tyre-knob-world that can mean a lot. 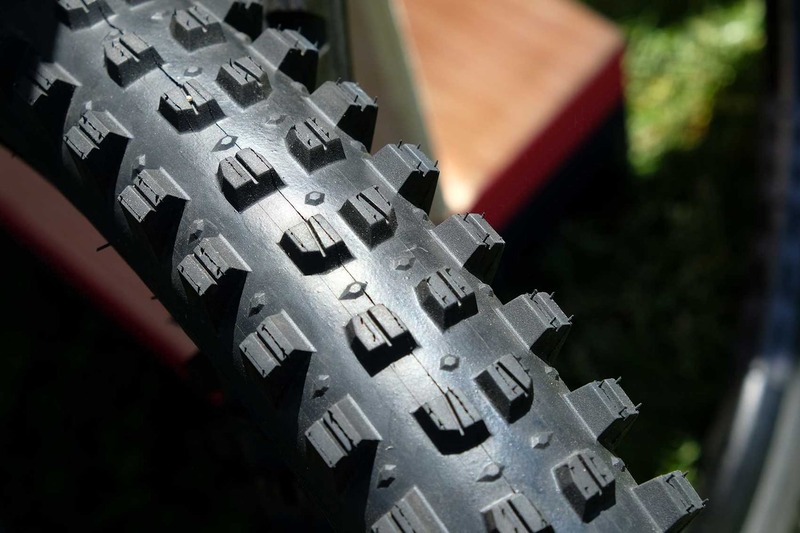 The tyres feature deeply siped treads in the middle, with huge, siped cornering knobs. 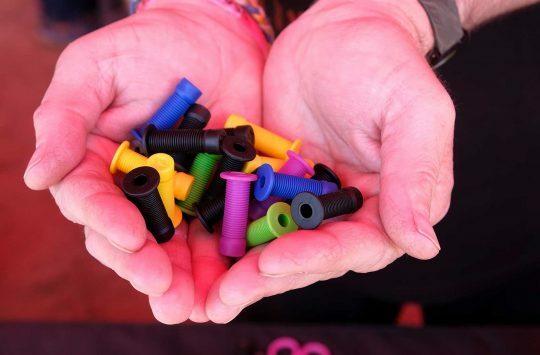 So that the tyres don’t just fold over in the corners, there’s a new TriTec compound that features a hard rubber base and then two more progressively softer layers above that, so that your tyre has the stickiest, softest rubber touching the trail, but it’s supported by chunkier rubber underneath so that the knobs remain supported. And this is the Verdict Wet. Or is it? 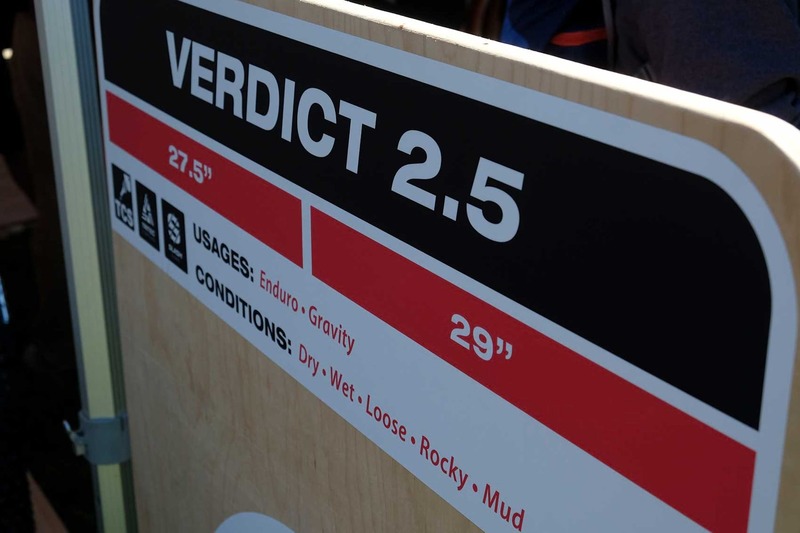 The Verdict Wet is for Wet, Loose and Mud, OK? The tops of the centre knobs consist of a medium durometer compound to provide traction and durability without sacrificing rolling efficiency, while the outer knobs feature the softest compound to deliver maximum grip and slow rebound. 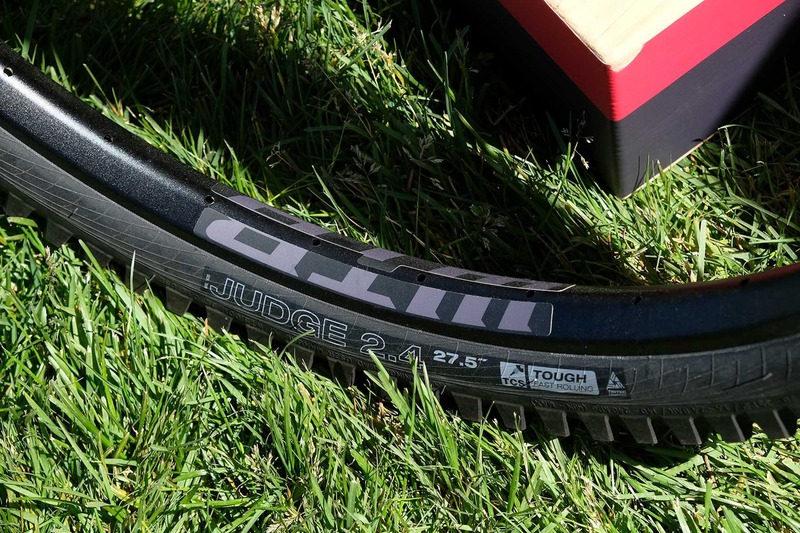 Both tyre treads will come in 27.5 and 29in sides, with a ‘true 2.5in’ width. 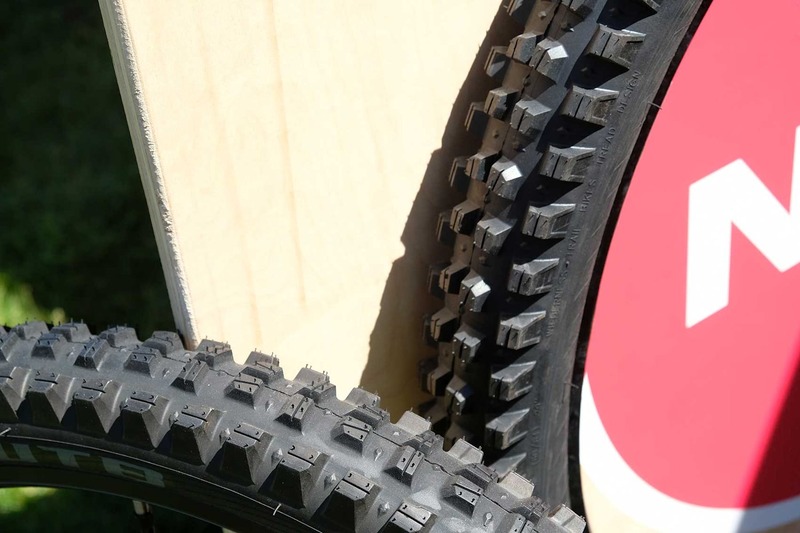 They will also both come in two sidewall weights too – TCS and TCS Light. 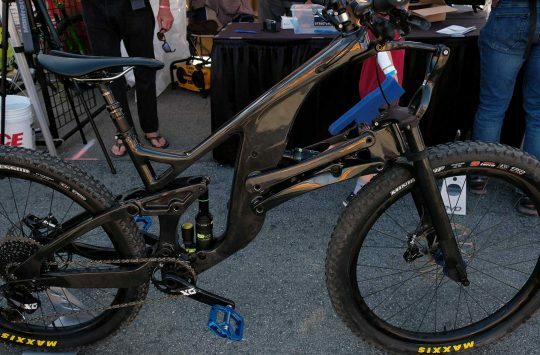 WTB reckons they’ll mostly be fitted to front wheels, with its Judge tyre out back. 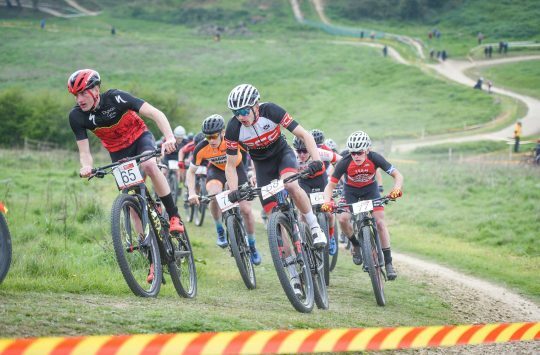 WTB is keen to point out that the Verdict tyres aren’t just for rainy days. They’re for loose conditions of all types, so even super dry and dusty conditions are covered. The idea is that the tall knobs can punch through whatever surface mud or looseness there is and find traction below. Obviously with all of that tall, soft rubber, there’ll be a rolling-resistance penalty, but WTB sees these as more race and special uplift day tyres, rather than every day. And finally, we saw this T-shirt on the WTB booth – possibly the best T-shirt ever. 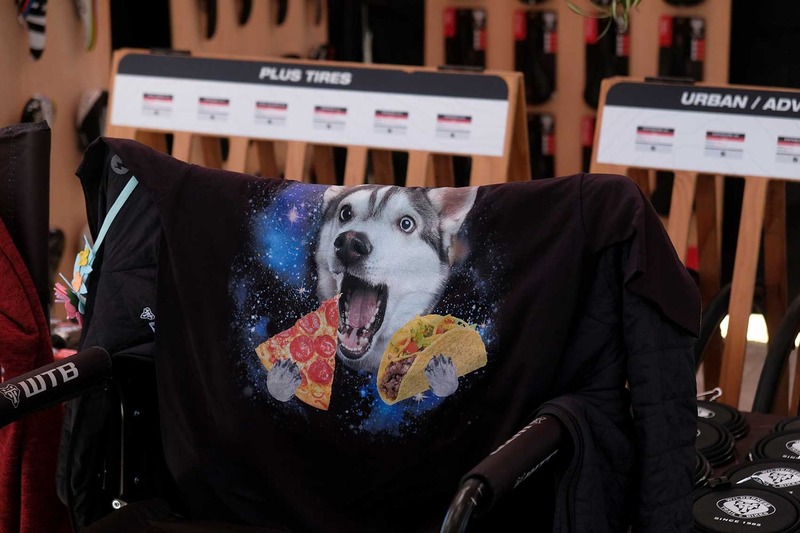 A wolf AND pizza AND a taco? Not a WTB tyre, but what a T-shirt! Who gives a monkey’s about the tyres – where do I get one of those t-shirts?